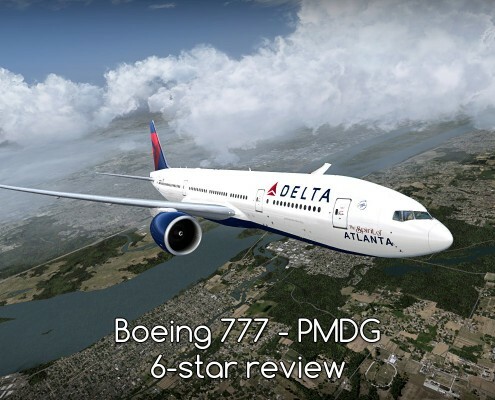 PMDG 777 - it is one of few planes for FSX that I consider excellent. This review is not about rating it. Instead it will show you why I think it's great. 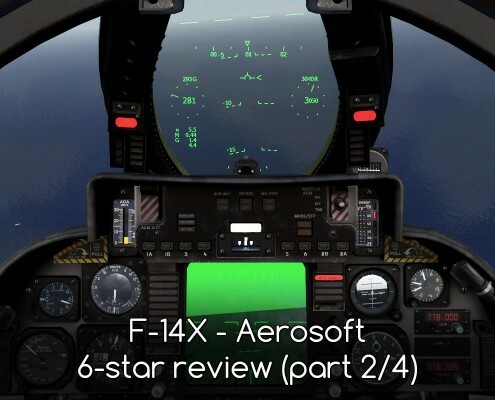 Aerosoft's F-14 has everything I expect in a military aircraft for FSX. 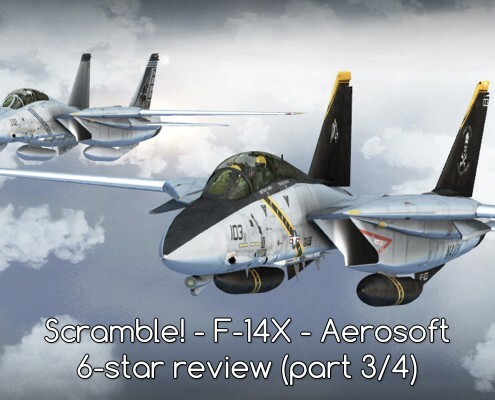 It's graphics, model and realism make it a must have for every warbird enthusiast. It's time to shoot something down. Two F-14s and helpless Tu-22 bomber in one-sided fight over ocean. 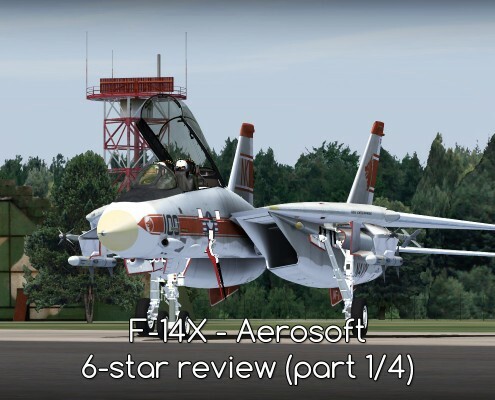 Aerosoft's F-14 X and TackPack test and review. 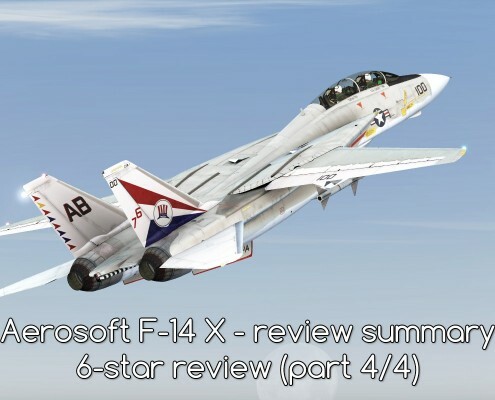 http://c-aviation.net/wp-content/uploads/2015/09/F-14X-Aerosoft.jpg 800 1920 Wojciech Przybylski http://c-aviation.net/wp-content/uploads/2015/08/CalypteAviation.png Wojciech Przybylski2015-09-30 13:43:092015-09-30 13:43:09F-14 X - Aerosoft - review (6*) - Scramble! Wilga - The triumph of thrust over aerodynamics. 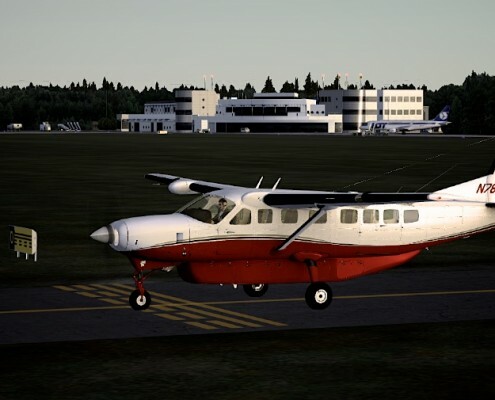 This Polish general aviation plane was brought to FSX by Aerosoft. The result is really good. My review. Caravan - name explains everything. It's a workhorse - rightful successor of classic bush planes. 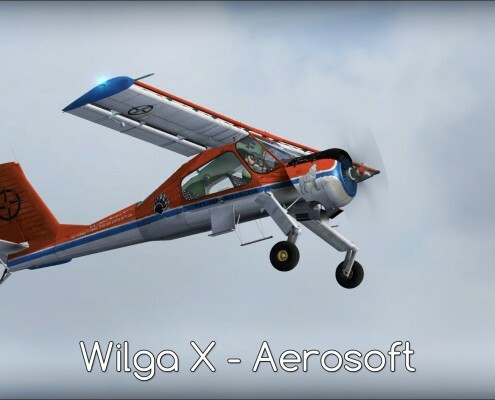 208B is my favorite Carenado plane for FSX. It's good.